New York Governor Andrew Cuomo is backing a new scheme to turn off all nonessential lights in state-run buildings as a way of helping migrating birds to effectively navigate their routes. Birds that migrate through the spring and autumn are thought to navigate by the light of the stars, using the tiny little pinpricks of light in the night sky to undertake their long and arduous yearly journeys. However, according to ornithologists, many birds can become disorientated by artificial light, which can result in the birds flying into buildings and dying needlessly. This phenomenon is known as “fatal light attraction” and claims the lives of an estimated billion birds a year in the US alone. Some birds die from the trauma of impacting into buildings, while others merely become lost and die from a combination of exhaustion and other hazards posed by an urban environment. A major ecological worry presented by fatal light attraction is that it can affect all areas of a bird population, killing even the stronger birds, which are vital to the maintenance of a healthy ecosystem. The idea to preserve migratory routes by switching out – or else dimming – all nonessential lights was first put forward in the early 1990s by Toronto, Canadas FLAP program. This pioneering work was built upon by the National Audubon Society, who have so far either directly instigated, or else inspired projects similar to, their Lights Out initiative across at least 20 American cities. According to the Audubon Societys website, “The strategy is simple: By convincing building owners and managers to turn off excess lighting during the months migrating birds are flying overhead, we help to provide them safe passage between their nesting and wintering grounds”. Thanks to Governor Cuomos support for this initiative, the birds passing over New York City at night will now stand a much better chance of surviving than before. "This is a simple step to help protect these migrating birds that make their home in New Yorks forests, lakes and rivers," said Governor Cuomo in a statement. In addition to this good news, the Governor also announced the launch of a new I Love NY Birding website, which will provide New Yorkers with information on bird watching and how to participate in the Lights Out program. Away from state-run buildings, several prominent New York City landmarks, including The Rockefeller Centre, The Chrysler Building and Time Warner Centre have pledged to take action in support of the states massive bird population. Private citizens will also be encouraged to join in as well, making New York City a far safer place for our feathered friends. Just How Do Active Noise Cancelling Headphones Work? Are you a light sleeper or do you face problems in a crowded office and cannot concentrate to work properly? Then surely you will need the active noise cancelling headphones. This is excellent for creating a silent atmosphere even in the noisiest place. Many people prefer to use this while meditating, sleeping in a thin walled apartment or even while travelling via flight. With the help of these headphones, you can eliminate all the unwanted noise and sound. Does it sound weird about how can headphones create silence? It may, but that is the technology. It works due to the noise cancelling technology which works brilliantly. This technology is controlled by analogue circuits or even by digital signal processing. This technology is created by some algorithms that are designed in such a way that it can analyse the waveform of the background noise. Then a signal is generated based on the particular algorithm that will either reverse the original signal or shift it. This signal which is reversed is amplified and another sound is created by the transducer. This sound wave created is directly proportional to the amplified version of original sound wave. It can create a destructive interference which can effectively reduce the noise volume. So, this is the technology that works in the active noise cancelling headphones. The sound you perceive through these headphones is reduced in volume with the help of noise reducing or cancellation technology. These headphones are different from that of the normal headphones that you use for listening to music. It can block almost all types of ambience sound and noise. It can really mute the outer world letting you sleep, work or travel peacefully. With the help of this noise controlling headphone you can even listen to music at a low volume and you do not have to raise the volume unnecessarily to hear clearly. Even if you want to study in some crowded and noisy classroom or while travelling, this will help you to concentrate on your books by eliminating outside noise. So, all these benefits make it an ideal accessory for you while travelling, reading, meditating, listening to music at low volume and even while you are sleeping. These active noise cancelling headphones are ideally the best way to get rid of the unwanted noise and sounds that do not let you travel or sleep peacefully. Researching is very important. If you buy one headphone blindly for yourself without knowing and researching about it then you may face issues too. So, browse through internet and check for the best headphones from some reputed companies. You can shortlist some of the best active noise cancelling headphones for yourself. Then check the reviews and feedbacks regarding those selected ones. This will give you a good idea about the products. If it has some great reviews and customers are satisfied with its performance then you can buy that. Also do not forget to compare the prices of the headphones. There are many brands which keep the prices higher than others while it offers the same features and performance. So, you need to do a thorough comparison of price as well as its features. Invest on the most affordable and cost effective product. Lastly, make sure that the website from where you are buying is reliable and trustworthy. If it is not, then either your money will be wasted or you may not get a genuine product too. So, it is very important for you to invest wisely and get the best product for yourself. These active noise cancelling headphones are more expensive than that of normal headphones but really worth it. You will definitely get the result which you will expect from it. When you're listening to speakers the sound comes from "over there," but with headphones where is the sound? A lot depends on the recording and the headphones. With mono recordings the sound is centered inside your head, with stereo the sound picture is more complicated. Vocals, or any sound mixed to appear centered between the left and right channels, will be inside your head, like a mono recording. The sounds over to the left and right might come from next to your ears. Listening over one of the better open-back full-size headphones, the sound might feel like it's surrounding you. You're in the middle of the sound field, or it might come from slightly above your head. The headphones melt away and you are one with the music. Sometimes when I'm watching a movie I forget the headphones. The sound isn't over there, it's all around me; I'm in the middle of a sound "bubble." I'm not suggesting that headphones can ever mimic what we hear from speakers. Headphones can't do that, but the downside to speakers is they can never be heard directly; the speakers' sound is combined with the room's reflections, reverberations, and other forms of acoustic interference. With headphones the sound "couples" directly to your ears, so you have a far more intimate connection to the music. With full-size over-the-ear headphones, the contours of your outer ears direct the sound to your inner ears in the same way sound is heard from speakers. In-ear headphones "bypass" the outer ear and produce a more direct connection to the recording. With purely acoustic music, the sound over headphones takes on what I call a microphone perspective, you hear what the mics "heard." That's not the case with electronic music since no microphones were used to make the recording. Even so, I find lots of electronica sounds amazing, and some of the best albums were mixed to produce out-of-head stereo imaging. Listen for depth, does the sound seem very close to your ears or further away? Recordings vary a lot in their stereo imaging, but the more closely you listen, the more aware you will be of spatial cues in headphone listening. Try some of Brian Eno's ambient albums like "On Land" and "Apollo" to hear what I'm talking about. To get started, relax and focus on the sound. Your surroundings should be fairly quiet, close your eyes, and sink into the music. After a few minutes the separate left, center, right stereo perspectives should fall away, and your head will feel like it's in the center of an expansive sound field. Share your thoughts on spatial headphone listening below. We found this excellent article here and as you can see it give us valuable information on why headphones aren't better than speakers, but if you don't want your neighbors complaining or your family moaning, then you'll have to wait for the technology to come up with perfect acoustic sound. Just a few short weeks after series 8 of the long-running sci-fi show garnered a Craft Award at the BAFTAs (for ‘Deep Breath’s excellent T-Rex sequences), shooting is already under way for Block 3 (that’s episodes 5 6, in case you were wondering) of Series 9. Phew! Don’t these guys ever take a break? According to www.doctorwhotv.co.uk, series 9 will see everybody’s favourite Time Lord and his trusty companion having a Viking-themed adventure, guest starring Game of Thrones actress Maisie Williams. Cast and crew have begun filming at Cosmeston Medieval Village, and leaked on-set photos appear to show crewmembers hard at work building period-specific boats. Other leaked info points to a showdown between The Doctor and the Norse God Odin. Should be fun. The village will also be the setting for the brand-new monster that was officially unveiled by the BBC last week. Looking like a giant Warhammer figure brought magically to life, the monster may (or may not) be called The Cyclone and the teaser photos already have online fans buzzing. Meanwhile, other on-set photos (leaked by Twitter user Amberlabamba) appear to show star Peter Capaldi in a new outfit, specifically, a pair of Tartan trousers that knowingly remind us of Twelve’s innate Scottishness, whilst also recalling some of the outfits worn by Second Doctor Patrick Troughton. ...He’s keeping the Doc Martens, though. The costume change is also interesting because Capaldi’s initial series 8 outfit, a stylish, scaled back Crombie coat (designed specifically with cosplay in mind), also recalled an outfit worn by Jon Pertwee’s Third Doctor during the 1970’s. It certainly looks like the BBC costume department are taking a bit of inspiration from the show’s early days. Its all good, just as long as he leaves the six-foot scarf at home – some things aren’t meant to be touched! ...And that goes TRIPLE for any Technicolor dream coats that the costume department might be planning to unleash on us. In other Who news, it appears that director Hettie MacDonald, best known by Whovians for her sterling work on the Tenth Doctor episode Blink, will be returning to direct a couple of U.N.I.T-related episodes entitled The Magician’s Apprentice and The Witch’s Familiar, which are set to act as a two-part series’ opener. The adventure will probably feature the return of Jemma Redgrave as Kate Stewart, daughter of the legendary Brigadier Lethbridge-Stewart. Other cast members announced (or rumoured) for series 9 guest slots are Game of Thrones and Ripper Street actor Paul Kaye, comedian Rufus Hound, The Royal Shakespeare Company’s Kelly Hunter (who may or may not be reprising her role as The Shadow Architect from Series 4’s The Stolen Earth) and Clare Higgins, who recently appeared in the Eighth Doctor mini-episode The Night of The Doctor as The High Priestess of The Karn Sisterhood. Michelle Gomez will also return as Missy – the female incarnation of The Master, as seen throughout series 8. A particularly juicy rumour (apparently started by The Daily Mirror) has the series returning The Doctor to the Dalek homeworld Skaro, whereupon the Time Lord must contemplate whether or not to murder his nemesis Davros, creator of The Daleks, during childhood. The episode, if indeed it is an episode at all, would therefore re-tread philosophical ground first walked during Terry Nation’s classic Fourth Doctor serial Genesis of the Daleks. The story may also pick up on the as-yet unused Davros origin story written by former series boss Russell T. Davies, which was cut from series four’s The Stolen Earth/Journeys End two-parter (it can be read in Davies’ Doctor Who companion book The Writers Tale). If this is the case, then this proposed episode might also explain the return of Kelly Hunter to the Whoniverse, for obvious reasons. 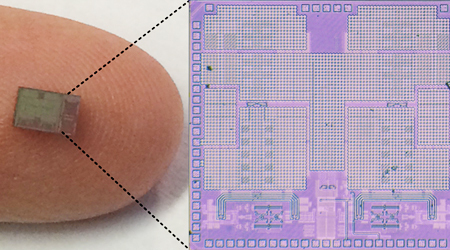 A team of Columbia Engineering researchers has invented a technology—full-duplex radio integrated circuits (ICs)—that can be implemented in nanoscale CMOS to enable simultaneous transmission and reception at the same frequency in a wireless radio. Up to now, this has been thought to be impossible: transmitters and receivers either work at different times or at the same time but at different frequencies. The Columbia team, led by Electrical Engineering Associate Professor Harish Krishnaswamy, is the first to demonstrate an IC that can accomplish this. The researchers presented their work at the International Solid-State Circuits Conference (ISSCC) in San Francisco on February 25. In the era of Big Data, the current frequency spectrum crisis is one of the biggest challenges researchers are grappling with and it is clear that today's wireless networks will not be able to support tomorrow's data deluge. Today's standards, such as 4G/LTE, already support 40 different frequency bands, and there is no space left at radio frequencies for future expansion. At the same time, the grand challenge of the next-generation 5G network is to increase the data capacity by 1,000 times. So the ability to have a transmitter and receiver re-use the same frequency has the potential to immediately double the data capacity of today's networks. Krishnaswamy notes that other research groups and startup companies have demonstrated the theoretical feasibility of simultaneous transmission and reception at the same frequency, but no one has yet been able to build tiny nanoscale ICs with this capability. The biggest challenge the team faced with full duplex was canceling the transmitter's echo. Imagine that you are trying to listen to someone whisper from far away while at the same time someone else is yelling while standing next to you. If you can cancel the echo of the person yelling, you can hear the other person whispering. Thankyou to columbia.edu for the tireless research, this really is an exciting invention, the possibilities if this can be brought to our industry are unbelievable. 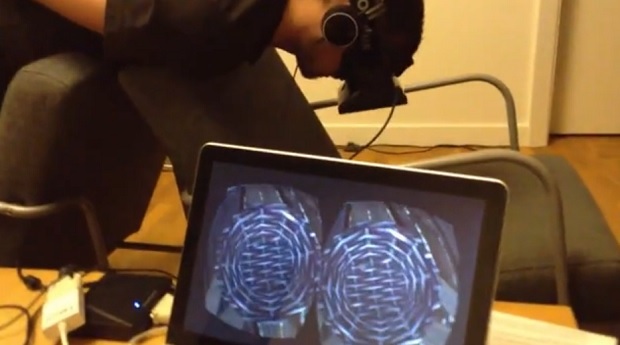 A British surgeon wants to make the operating room virtual with the Oculus Rift headset. Dr. Shafi Ahmed, a laparoscopic and colorectal surgeon, has already worked to integrate Google Glass into his lessons as an associate dean at the Barthes of London Medical School. As co-founder of the tech company Medical Realities, Ahmed now wants to use the virtual reality system Oculus Rift to create the “Virtual Surgeon,” a pilot program that would allow medical students to practice surgeries inspired by actual operations before setting foot into an operating room. Ahmed and his team presented Virtual Surgeon at the wearable technology show this week. Last month, Ahmed took the first steps towards creating that program by making a 360-degree video of an operation. Anyone wearing an Oculus Rift headset could then be able to get an immersive view of the laparoscopic procedure when the video is played back. The virtual reality experience of Oculus Rift is a better simulation for students, Ahmed said, because it can more easily mimic a real operating room. “It’s as close as you can get to replicating it,” he said, noting that education should always embrace the newest technology and a virtual reality operating room could be the next major tool for students. The Oculus Rift headset has not been made available to consumers yet, but the company was acquired by Facebook for $2 billion last year. The headsets have already been utilized by a range of people, from real estate agents to driving instructors and fitness companies. The oculus Rift has huge potential, this is a great one where it can save lives. Much like pilots, racing drivers and firefighters use simulators to improve training this is a good thing, the only issue will be the standard of the software used with the headset. We all take reasonable care of our stuff, particularly when we wear it, we wash our clothes regularly, we shower, more than twice a week! but when was the last time you cleaned your headphones? they might not look dirty, or do they? this article seemingly does. Headphones are a necessity for the modern music-lover or phone user but your gadgets could also be taking a negative toll on your skin. Some things in life never seem to last as long as we want them to: Your last paycheck, free cookies, or (perhaps most disappointing of all), clear skin are all relatable examples. Sure, we know that there are tons of prescribed, over-the-counter, and even some go-to natural ingredients that can treat an annoying blemish in a flash, but wouldn’t it be less frustrating to know why our pimples are, well, popping up in the first place? While genetics and hormones play a huge role, there are certain sneaky, everyday habits that could be irritating your skin too. Like coveting those beloved gadgets of yours. For instance, think about how your headphones go everywhere with you—school, work, the subway, the gym—and you slide them on without giving it a second thought. Cranking up the music is totally therapeutic (and yes, great for drowning out an annoying sibling), but it turns out if you’re seeing spots on your temples and jaw line, the headphones you use for your daily jam sessions to Taylor Swift might be the culprit for recurring breakouts. "Wearing over-the-ear headphones is a perfect setup for causing an increase of acne breakouts and skin infections," says dermatologist and Simple advisory board member Dr. Debra Luftman. "This is especially the case when you wear them during and after a workout, or if you keep them on for long periods of time. Sweat and moisture collect on and around the headphones, compressing the skin and therefore encouraging bacteria and yeast to multiply." Gross, but true. Luckily, a blemish-free complexion doesn’t mean retiring your giant pair of Beats or new Frends headphones for good. To keep them gunk-free, Dr. Luftman recommends giving them a daily rubdown with a makeup remover wipe. (Simple’s Cleansing Facial Wipes are so easy to toss in your bag!) Then, remember to use another wipe to clean the areas around your ears, hairline, and jaw before the next time you toss your headphones on again. If you find that your headphones get discolored or grimy particularly often, you can also keep a stash of anti-bacterial cloths handy in your purse or backpack. Feel free to pick these up during your next drugstore run. Just be sure to let the earphones dry completely before using them again. The same bacteria that develops from sweat and moisture, can build up from any dampness that stems from your cleansing tools. Come on, putting whatever you’re listening to on pause for 10 minutes isn’t too much to ask now, is it? Dealing with acne is never fun, but preventing it with these simple tips is music to our ears—literally!